Just received back the last generation of test print from the printer. All factory dealer sample UMP .45acp. It's good to go. Same gig as my other HK prints. HKpro members get first dibs on the first run at a $10 discount and get a limited edition signed and numbered print. 100 signed and numbered prints will be made, releasing on average about 20 a year till the 100 cap is reached. I don't inventory many bc they are expensive to print. 10" x 20", black and white on professional photographic paper printed by a commercial print shop. Meant to be framed. Frame not included. HK pro price will be $49.95 whereas price for the public will be no less than $59.95. $5 flat rate shipping CONUS. Money back guarantee. Yada yada. This is a request for nonbinding interest in a print. If you want one please just respond to this thread. In about a week I'll tally it up the count and get the appropriate # of prints made for yall + a few extra. After I receive the prints I'll PM each of the responders with purchase instructions. Later on I may or may not offer them to the general public and regardless they won't be signed/numbered. Here's a few low resolution pics taken in crappy light with my iphone just now. Of course it looks tons better in person. That sir, is an awesome print.. 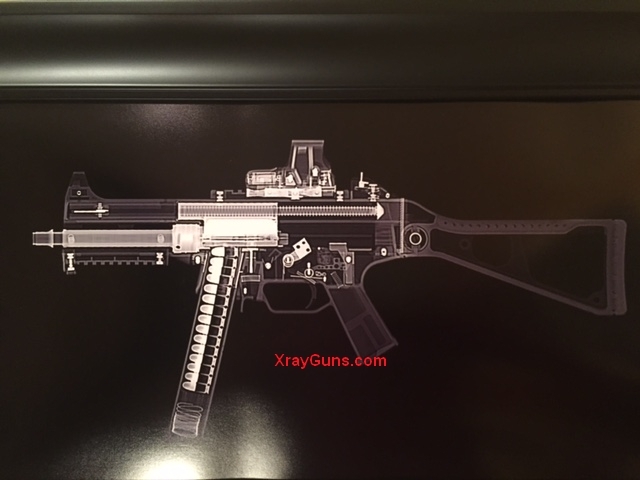 I'm new to the forum and I'd love to have one signed and numbered please.. Do you have previous printings of other x-rayed weapons available? I'm in as well! 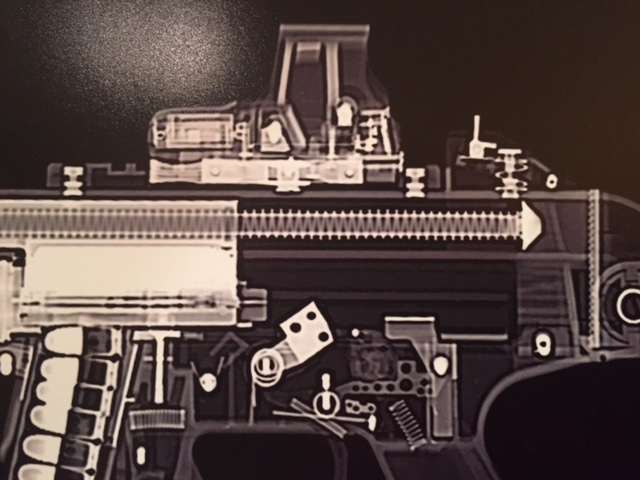 I like how you got the EOTech in there. Sent from my iPhone using Tapatalk HK, probably while driving. 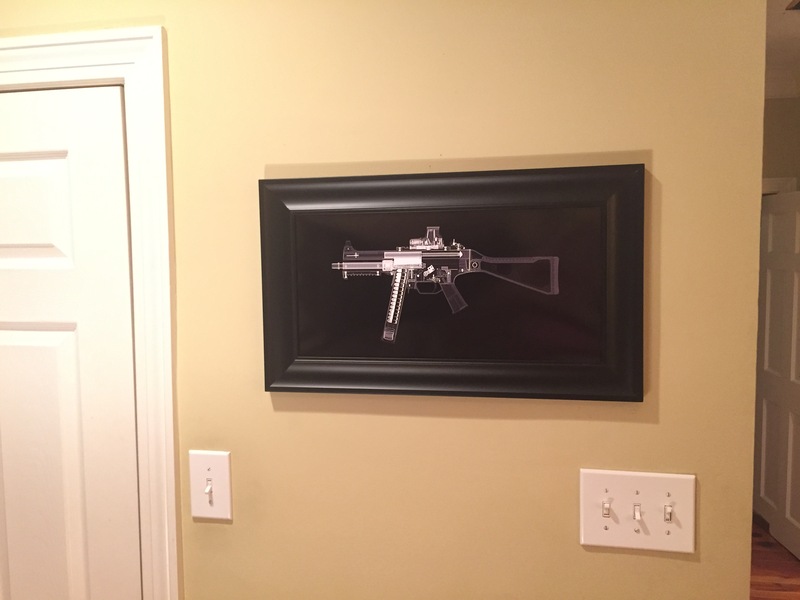 I might get hated on for this, but if you ever do a run of these in UMP 9mm, you can put me down for one of those. Here's the website. He's also on Pinterest, whatever that is. PTR PDW-91, form1, ckh cashed 3/10/15, stamp approved 9/14/15, 6mo 4 days! 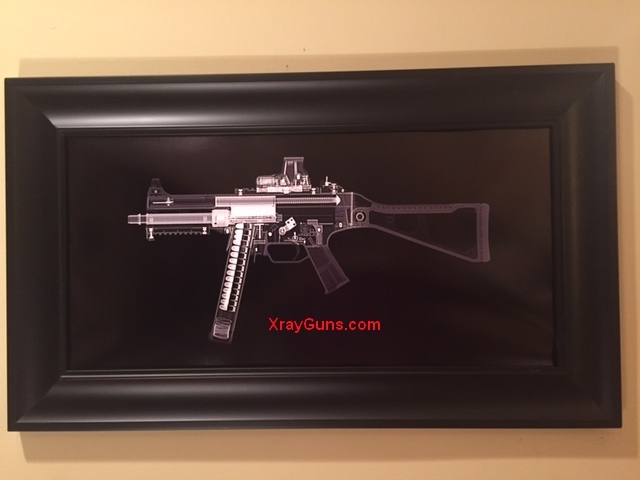 HK MP5 SBR and FA Sear- chk cashed 8/9/13, stamp arrived 4/21/14, 8mo 13days! Octane45 HD, chk cashed 1/28/14, in hand on 9/26, 8mo total.